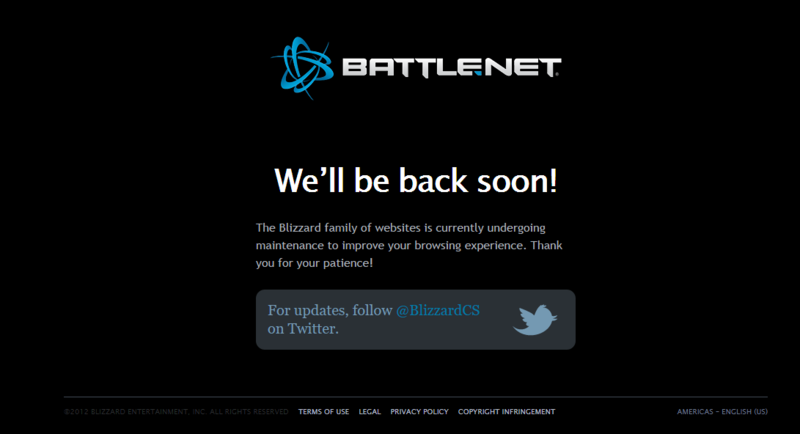 Blizzard and Battle.Net have been hit with major DDoS attack that has taken Battle Net and it’s content offline. Blizzard have advise this DDoS attack has subsided and is no longer impacting services. The earlier issue affecting connections to our games/Bnet should now be resolved. Thanks for your patience. Blizzard have advised of another DDoS attack against their services which have taken the systems offline again. Blizzard have posted that the DDoS has subsided and services are running again. The latest update provided by one of the regional twitter handles for Blizzard states they are monitoring the situation. When trying to reach the Battle Net webpage many of the attempts time out however some requests return a maintenance page which can been seen below. Correction: The DDoS attack is against the upstream network providers that supply Battle Net and not Battle Net itself. 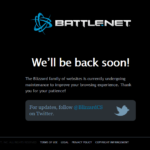 Frustrated users are unable to log into Battle net and are unable to get the Blizzard websites. The issues starting being reported by users around 11:20 a.m GMT. A tweet by @BlizzardCSEU_EN confirms the Battle Net systems are under a DDoS and they are currently investigating. The Battle Net app is currently advising users they have been placed in a log in queue and provides an estimated wait time for the login to progress. However many users are reporting on social media that the client is never logging in or reaching the end of the wait time. At this stage no claim of responsibility has been made. Further updates to follow as more information emerges. Update: 2:40p.m 23rd Aug GMT Blizzard have advised the DDoS has subsided and services should now be operating normally.